God doesn’t care for you to invest in a belief that doesn’t change you. So, studying creeds (whether Apostles’ or Nicene or whatever) is not just something egghead theologians do to pass the time. It is not nit-picking – it can be nit-picking, but its primary intention is to shape the right worldview based on the right telling of the story of the identity of God, the world, humans, and history (and the future). Do not conform to the pattern of this world, but be transformed by the renewing of your mind. Then you will be able to test and approve what God’s will is–his good, pleasing and perfect will (NIV). Jesus deals with this on a regular basis, especially in his parables. Luke 18 recounts Jesus’ parable about the tax collector and the Pharisee. The common Jewish worldview held that tax collectors were vile, mischievous scoundrels, hardly worth God’s attention and never worthy of his approval. The opposite was the Pharisee – the holy and separate, Torah obedient servant of God. Jesus inverts this assumed social paradigm when it comes to the humble tax collector and the haughty Pharisee. That day, only the tax collector was exalted by God. Let me give two movies as examples of how to think about worldview. The first example, tired and overused as it may be, is still poignant – The Matrix. 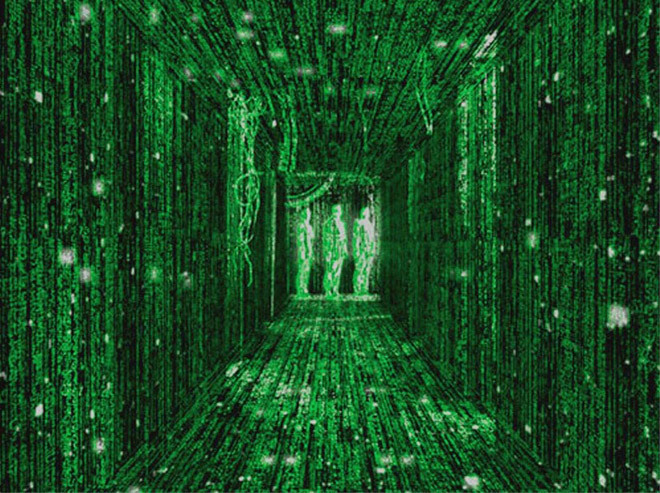 The Matrix is its own world, but, more importantly, it proposes its own worldview where people inhabit an environment with rules, reality, values, etc… Alternatively, there is the “real world” outside of the matrix. That alternative place has an alternative set of rules, values, reality, etc… When Neo is awakened to the real world, he must keep everything he learned in mind when he goes back into the other world (the Matrix). Hence, he has to repeat to himself, “there is no spoon,” because the matrix “reality” would naturally force him into the limits of its ostensible rules. Cypher, on the other hand, knows about the “real world” and lives in it, but much prefers the world of the Matrix (“ignorance is bliss”). What does the creed do for Christians? It is the conscious reminder of an alternative world that we must “confess” exists and challenges the so-called world all around us. I am not talking about “creation” versus “evolution” or “biblical faith” versus “science.” I am talking about worldview. More on that later. A second movie example is Indiana Jones and the Last Crusade – my favorite of the Indiana Jones trilogy. When Indiana goes on the final j0urney to the Holy Grail he must overcome a series of tests. Seeing the strewn skeletons, he realizes that these tests are going to be tricky. Using only their natural senses and instincts, the other pursuers of the Grail failed the tests. Indy has the advantage of having his father’s diary which gives him the proper clues to pass the tests. While walking through each trial, he mutters the clues from the diary under his breath – presumably he does this to continually remind himself of the right way to survive these tests (“only the penitent man…the penitent man…”). He must buck his natural instincts (which are part of his reality) and dare to embrace an alternate reality (of the diary) – sometimes doing the exact opposite of what he normally would. This comes to one climax in the “leap of faith.” He must jump across a chasm that seems endlessly vast. His worldview would say it is impossible and he must go back. But the diary encourages him to take a leap. In faith (!) he steps out and, sure enough, there is a special (tangible) bridge that was designed to blend in with the cavern so as to be invisible. Indy accepted an alternative worldview and was able to do what before seemed impossible. This was not just wishful thinking – there was a real bridge, but it was hidden to those who did not have “eyes to see” and “ears to hear (the diary’s prompt)! What these examples offer is both a given worldview and a counter-reality. A counter-reality is an alternative worldview that opposes the dominant one. The Christian creeds serve an important role, not only in constructing a counter-reality, but sustaining it as well by public, repeated confession. Just as Indy had to mutter the words of the diary to himself. Just like Neo had to say out loud, “There is no spoon,” so the Apostles’ Creed is “confessed” as a continual work of reinforcing a counter-reality. 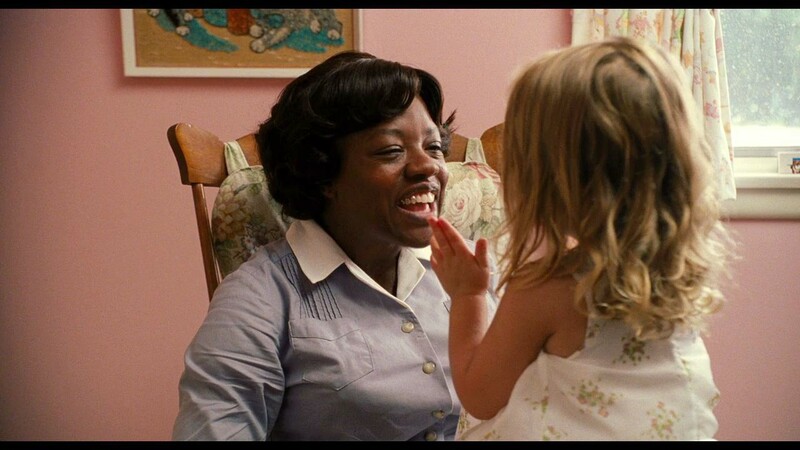 My wife and I recently watched The Help, a film about the lives of African-American maids in Mississippi in the 1960s. One maid, Aibileen, cares for Mae Mobley (age 3 or 4?). Mae’s parents are neglectful of her and sometimes physically rough and verbally abusive. Everyday, though, Aibileen made it a habit of sitting Mae Mobley down and having her repeat these words: “You is kind. You is smart. You is important.” Over and over again. Why did Aibileen do this? Whether she knew the psychology behind it or not, she understood that Mae lived in a “world” where she was considered insignificant and dumb. Aibileen dared to establish a counter-reality for Mae. Her 9-word mantra was a creed. To confess a creed is not to inform others (in the first instance). It is to dare to believe in something that the world does not. Moreover, though, the counter-reality a creed constructs is not about quibbling over the virgin birth or whether Jesus really descended into hell. It is all about how the world of the creed shapes all of life (not just theological debates). What is real? What is good? What does it mean to be human? What is God like? Where is history going? Is community important? Are humans inevitably destined to fail? We need to know what we are saying when we confess (whether in hymn, chorus, or chant) and we need to know the worldview implications of what we are saying. We also need to be aware that the creed is going to rub people the wrong way if we are living in light of that worldview. Not because Christians hate science, society, or politics, but because we think outside of the box and side with the weak and the poor in radical ways that push against the dominant value system. Unbelievers have long felt our doctrines to be unbelievable – now I want them to say that about our lifestyle of being other-centered and cruciform! We need to re-claim Christianity, not just as a set of beliefs for a religion, but as a philosophy that makes claims about all of life. Well said and passionately argued Nijay. I think what you say is as true for the pulpit as for the seminary. Creed can only capture people’s imagination if and only if it is inextricably linked to praxes. I laud your fervour. Question…which NT Wright book were you refering regarding the raven quote? Hi Sean. I actually heard it in a video online, but I did some poking around and he mentions it in Who is Jesus, page 81. This is one advantage of him repeating himself often! Given your provocative statement to students (“God doesn’t care for you to invest in a belief that doesn’t change you”), how does the virgin birth change you? Although your article makes an appeal to the broad category worldview, what about the particulars of the creed? What would be different about your worldview or faith if you didn’t believe in the virigin birth? If I remember correctly, a lot of the public controversy around Rob Bell originally started because he asked what would be different about the Christian faith without the virgin birth, and N. T. Wright recently wrote an article that concludes, “If the first two chapters of Matthew and the first two of Luke had never existed, I do not suppose that my own Christian faith, or that of the church to which I belong, would have been very different.” In light of your claim about how the only beliefs that matter to God are those that change you, do you have an answer to Bell’s question? Andrew – you raise a good point and, as you well know, one that is highly debated right now. What do we do with the virgin birth? Contrary to what some have said, I actually DO think, if it was important enough to be in the creed, it must shape worldview or stand as counter-reality in some way. Why was it included in the creed? Luke Timothy Johnson does a pretty good job getting at this. He explains that the statement is there to show that “the incarnation of God’s Son came about through divine and human agency.” To deny either or both of these would be to let the counter-reality crumble. “it says something important about the nature of salvation. if salvation were a matter of rearranging the systems of the human world, the savior’s conception and birth would not matter, and attention would focus on his public actions and accomplishments as an adult. But such salvation would only help people living within those social arrangements, and never accomplish more than a temporary improvement. But if, as Christians believe, the salvation brought by JC fundamentally altered the structures of human existence itself, the moments of conception and birth are deservedly singled out by the creed…” (160, THE CREED). Personally, I think the earliest Christians did believe in Mary’s “virgin birth” and put it into the creeds to ensure that people understood Jesus to be a special kind of human, and that the specialness of Jesus had much to do with seeing the world differently. Personally, I am not sure why Christians would want to deny this, but I am open to hearing a case for that. Good question, Andrew! Nijay, Thanks for weighing in on the question. You will certainly not hear a case for denying the virgin birth from me; I was just curious on how you would fit that specific creedal claim into your view of beliefs and change, particularly in light of the other recent public claims I highlighted in my comment. Thanks again for your indulgence of my curiosity. There are now more Christians on the planet than ever before. There are over 30,000 different and differring Christian denominations, sects and sub-sects all competing for market-share in the market-place of consumerist religion. There are now more bibles than ever before. More Christian literature of all kinds, including comic books and tracts. More Christian radio and TV stations. More Christian schools and universities. More Christian CD’s and DVD’s. More Christian web-sites and blogs. And yet the world is becoming more and more insane every day. And what is more some of the leading and powerful vectors of this now universal insanity are right-wing so called conservative Christians – you know the strident types that are driving the right-wing agendas of the GOP Presidential candidate nomination process.